BRE training systems programs (TSP) offer vehicle specific and manufacturer training programs custom tailored to meet your group or company's exact needs. Located in the majestic Blue Ridge Mountains of NC and founded in 2008, our core focus is teaching the "Expedition Mentality" of driving and practicing vehicle and environmental sympathy. Following a strict lesson plan we will give you the chance to experience your vehicle as you never thought possible. The BRE team is ready to travel to any destination for your specialized training. Military, Police, Fire & Rescue and other qualifying agencies as well as dealership and owners clubs can expect only the best from our team of certified instructors! Contact us or call at 828.925.0057 for inquiries & pricing. 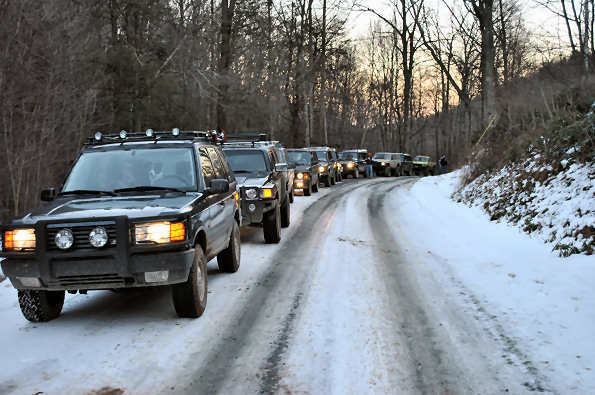 Blue Ridge Expeditions is a “brand-neutral” educational based adventure company providing world class training for the off-road enthusiast. 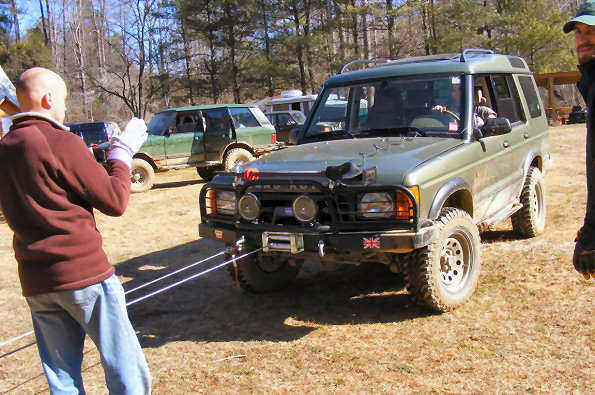 We offer groups and individuals the chance to further their knowledge of proper and safe methods involved with 4x4 driving, vehicle recovery, winch safety, and more. Our team consists of a select group of certified off-road driving instructors and vehicle experts. Safe and environmentally responsible off-road driving is our #1 priority. 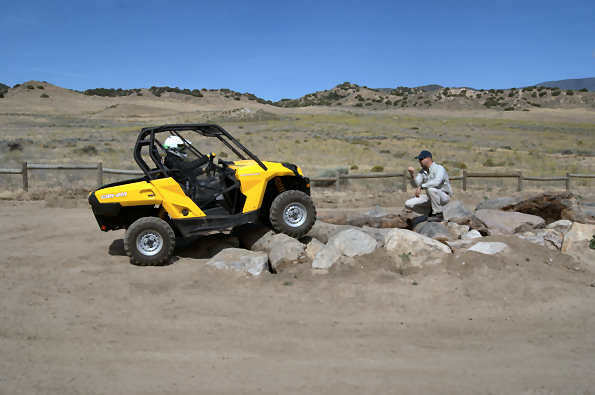 Our world class, certified off-road driving instructors teach off-road driving techniques, winching/recovery methods and safety, vehicle preparation and field maintenance. We offer private training to groups, individuals, clubs and government agencies. We also provide guided trips in the beautiful Blue Ridge Mountains. We are proudly A TREAD LIGHTLY member!! 4x4 Education starts with an understanding of how a 4-wheel drive (4WD) works, giving you insight into why and how your 4x4 performs as it does. Our experience as certified off-road driving instructors guarantee that you will receive only the best training available! 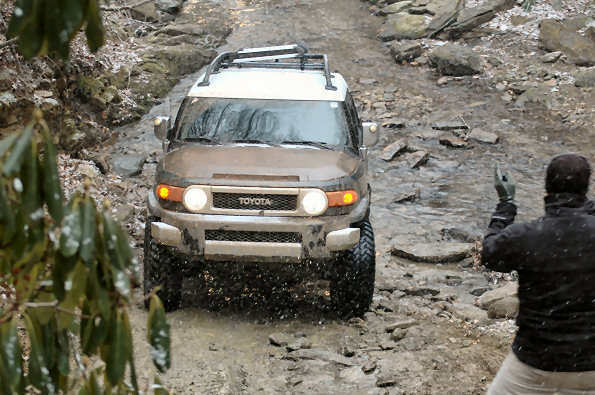 Learn how to get the most out of your 4x4 vehicle! Lessons are available 7 days a week throughout the year. We encourage you to purchase your lesson today then complete a lesson registration form. Once completed, someone will contact you as soon as possible to work out all the details. We will happily customize your lesson or team building activity to meet your needs, giving you the experience of a lifetime! We offer weekend and other multi-day trips and adventures. Spend a weekend under the stars or a week off-roading, hiking, fishing, and touring with our guides. We will happily customize a trip just for you and your skill level. To get started with your trip, just complete a request form and we will get back to you shortly.